Final overall point standings from 7/1/2005 to 12/31/2005. 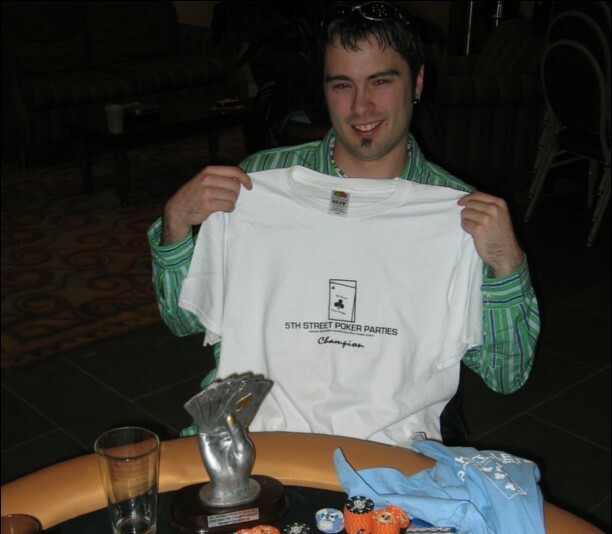 Top 50 qualifed for the 5th Street Poker Parties Winter Championship on February 4th. Check-in begins at 4pm with the tournament starting at 5pm in the Grand Rios Indoor Water Park Hotel in Brooklyn Park, MN. Alternates are welcome to sign-in prior to the event. Those qualifiers who do not take their seats before the start of the second level will be replaced by those on the alternates list. Alternates will be given priority based on their final standing in the point standings. All participants will receive a special gift from 5th Street Poker Parties. Raffle for 2 tickets to the Timberwolves vs. Miami Heat game on March 21st. 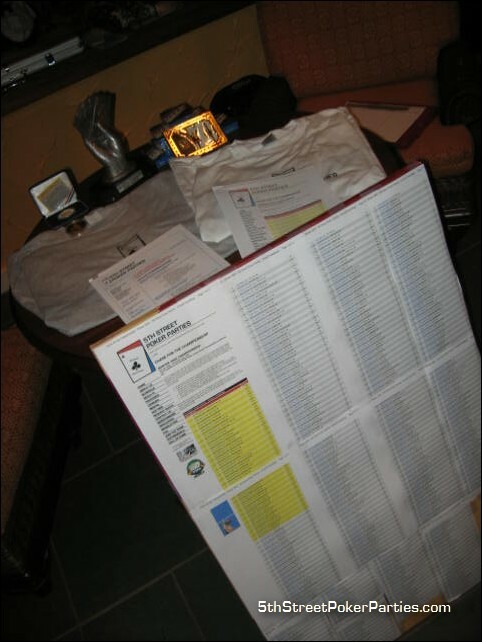 Raffle will take place once the tournament field is narrowed to the final two participants. All participants and alternates are eligible. Must be present to win. Grand prize is a satellite seat into a major televised poker tournament (World Poker Tour, World Series of Poker, or Heartland Poker Tour). Post-party to follow in the Beach House Bar & Grill featuring live music. Points were accumulated from July 1st to December 31st to detemine the qualifiers for the Winter Championship. On January 1st, the overall point standings are reset to zero and a new points chase will begin through June 30th for the 5th Street Poker Parties Summer Championship in July.